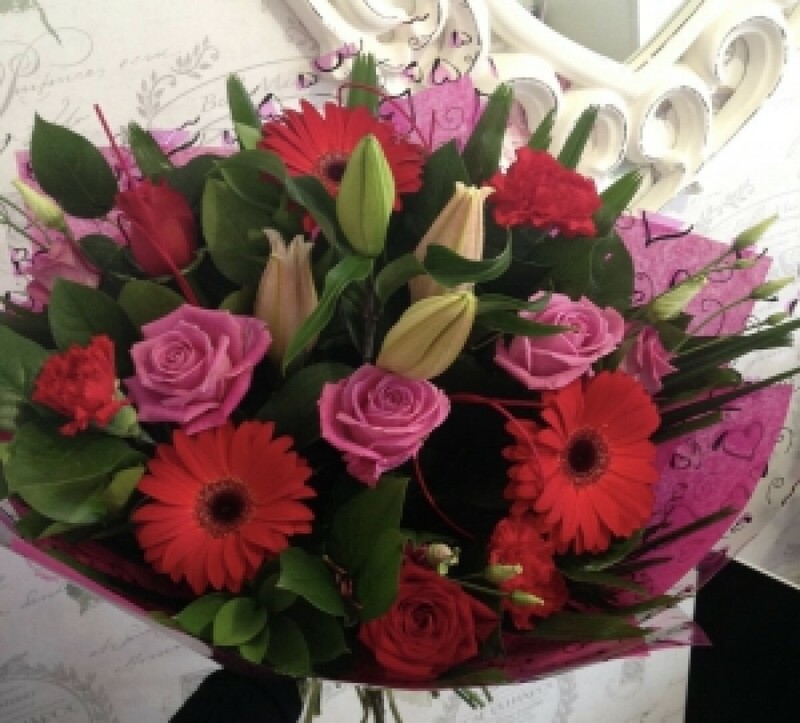 This is a striking bouquet of cerise pink and red flowers. Includes roses, lilies, gerberas and carnations. In a presentation box with food and water for longer lasting stems and includes local delivery. Size shown Is luxury.